Thank you for visiting my Senate nomination webpage. As Victoria's first elected Green I have always believed it is important that elected Greens keep contact with members and the community we serve. With your support and that of the more than a quarter of a million Victorians voters who supported me in the 2004 federal election, once elected, I pledge to continue to work for and with you to give Victorians the Green voice needed to deal with the democratic, social and environmental challenges we face. I look forward to seeing you soon and to planning a better, long term future. Post: David Risstrom, Room 406, Equity Chambers West, 472 Bourke St Melbourne 3000. David Risstrom has nominated for 2007 Victorian Senate preselection with the Victorian Greens. It�s difficult to believe that one person could achieve as much as David has over the past twenty years. He has an exceptional range of skills, knowledge and ability that allows him to be enormously productive. What�s more, he thrives on work. I first met David in East Gippsland at a forest camp in the early 90s. I believe a good history of activism is fundamental to party political work. David�s long history of activism spans a vast array of issues from education to East Timor, from S11 to legal Aid, climate change and many others. His achievements as a Greens Councillor for the City of Melbourne could fill a small book. Thanks to David�s work and persistence, it is regarded as the most advanced local government in Victoria, and some believe nationally and internationally. The Council�s triple bottom line governance, green purchasing policy, sustainable water management, greenhouse gas reduction and open space planning, are all thanks to David�s work. David knows electoral and political systems backwards. He has great media and speaking skills, coupled with his work as a Barrister, means that he has the ability to outmanoeuvre the wiliest political opponent. David would be an extraordinary senator. Jill Redwood - has been a Greens member for 13 years, was a candidate for the UH in Eastern Victoria 2006, has been campaigning for forest protection for 22 years, is a writer, cartoonist, organic farmer and manages an eco-tourism accommodation business. 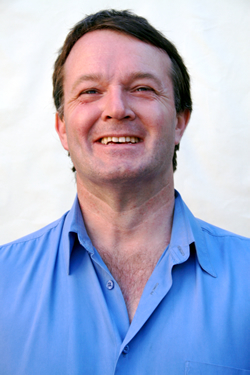 David Risstrom has made an outstanding contribution to local government, a wide variety of Australian and international social justice and environment organisations and been a persistent and persuasive representative of the Australian Greens. As a representative on the Victorian senate pre-selection panel for the 2004 Federal election, I developed a high regard for David�s achievements, self awareness, knowledge and abilities to undertake campaigns and demonstrate the discipline necessary to consistently perform the roles of elected office. I have known David as a Victorian Greens State Council representative, local government Councillor for the City of Melbourne and local government campaign coordinator. I have personally appreciated his support and guidance to candidates and newly elected local government Councillors. His achievements are an undeniable testament to his vision, leadership, application and ability as a team player. I believe he models the principles and policies of the Australian Greens Party and would make an excellent Victorian Senator. I was elected as a Councillor for Flora Hill Ward, City of Greater Bendigo in November 2004 and will be the Mayor for the 2006-2007 year. I�ve known David Risstrom for five years, as a Greens member, fellow activist and friend. I�ve worked alongside David in a wide range of party and community activities, including on election campaigns and policy committees, as a State Councillor and delegate to national party conferences. Victoria�s first ever Green elected to public office, David is known as a person of great political integrity, with huge capacity for hard work. Despite his heavy commitments as the public face of the party while a Melbourne City Councillor, David continued to contribute to the Greens in areas such as policy development and internal party organisation and decision-making. David is an experienced political tactician with a standout capacity for hard work, excellent knowledge of political and legislative systems and a clear, deeply held commitment to Greens values, essential qualities for our first Victorian Greens Senator. With his integrity and commitment to democratic values, expertise and experience across all four aspects of the Greens charter and knowledge of electoral and legislative systems, David is an outstanding candidate. I believe that David deserves another chance at the lead Senate candidacy, having polled high in 2004 and missed out due to preference deals which favoured Family First. Joined AGV in 2001 � member for five years. State Councillor, 2002-3; 2003-4; 2004-5. AGV Welfare Spokesperson, 2003 � 2005. Convenor, Welfare Policy Working Group, 2003-4. I am nominating David Risstrom for the Victorian Greens lead Senate candidate for the federal election. I believe he has the background, demonstrated experience and professional expertise needed to be our Victorian Senator. He has clearly demonstrated the motivation to once again take on the near impossible task ahead. As he capably demonstrated at the last federal poll, he has the personal skills to knit together the party and further build a positive and powerful statewide Green campaign team. His relationships built with campaign teams around Victoria - Melbourne, suburban and regional are strong assets that will work for him and the party at the coming election. The expectations and pressure on the lead Senate candidate are immense. The Greens ask a lot of their lead candidates. David has been there before. He knows the time, emotional and intellectual commitments required. I have worked with David at times of great difficulty and stress, and have every confidence that he will perform as brilliantly as in the past.